Modern orthodontics has responded to the needs of patients with invisible aligners that make it easy and convenient to straighten the teeth. We, at Dr. Kim C. Norman’s practice, offer Invisalign therapy and Clear Correct Aligners, to straighten your teeth invisibly and make orthodontics a welcoming treat. These aligners are designed to work with any lifestyle and provide that much-needed comfort and aesthetics while in treatment. Our patients are very satisfied with their invisible aligners; their smiles have dramatically improved conveniently. Invisalign vs. Clear Correct Aligners – Which Type of Invisible Orthodontics Should I Choose? Both Invisalign and Clear Correct are patented orthodontic treatments that are very similar in many ways. What these treatments have in common is that they provide the patient with a set of custom-fitted aligners, with each aligner designed to straighten the teeth sequentially. The patient begins with the first aligner in the series as instructed by the dentist. This first aligner is typically worn for two weeks before the patient switches to the next aligner in the series. Treatment is complete when all aligners have been used. Both Invisalign and Clear Correct, therefore, involve a degree of responsibility because the aligners are worn independently following a pre-designed treatment plan. Both treatments have been proven to be effective when the treatment plan is followed strictly and when the patient wears each aligner as instructed. Patients are advised to remove their aligners prior to meals, as this prevents food particles from getting stuck and damaging the aligners. The aligners are, likewise, removed prior to brushing and flossing, so the maintenance of oral hygiene is easier than with traditional orthodontics. The difference between Invisalign and Clear Correct is that the latter offers a “phase zero” aligner, to test your response to treatment. This essentially tests a proper fit, ensuring that the fabricated aligners accurately align the teeth. While Invisalign does not have a “phase zero”, this doesn’t mean that the treatment is inferior to Clear Correct. Invisalign, likewise, involves precision in planning your treatment. 3D impressions of your teeth are taken and sent to Invisalign along with recommendations from your dentist. 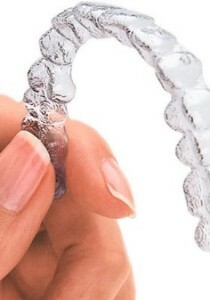 Invisalign has been proven to have straightened the teeth of millions of patients worldwide. Visit Dr. Kim C. Norman and discuss with him these 2 types of invisible orthodontics. Dr. Norman will evaluate the condition of your teeth and gums, as well as your lifestyle. He will then recommend the orthodontic treatment that suits you best. Invisible aligners like Invisalign and Clear Correct are so much improved over traditional orthodontics because these treatments offer aesthetics, comfort, and convenience during treatment, in addition to providing effective results. The greatest advantage of these aligners is that they remain invisible in the mouth, something that is a main issue with traditional orthodontics. Having metal wires and brackets on the teeth can make the patient feel self-conscious about smiling. Invisalign and Clear Correct, therefore, provide that much-needed aesthetics during orthodontic treatment. Patients maintain their professional image and are able to smile confidently with invisible orthodontics! For more information about Invisalign and Clear Correct contact us at (865) 982-9662.